It's so long since I was last on my patch I might not remember where it is next time I get a chance to go. Last weekend was taken up with a trip to see the Toon end their unbeaten run at Manchester City followed by the Northern England Raptor Conference in Durham on Sunday (followed by the Lumiere festival..at least some of it). I had a chance to twitch the eastern black redstart on Holy Island this morning. As regular readers of the twaddle will know, I rarely twitch, even in Northumberland, but this bird looked a cracker. I only had an hour and a bit on the Island before the causeway closed, it pissed it down the whole time I was there. It cleared quickly as soon as I was off the island and there was blue sky before I finished my work on the mainland. No news either way on RBA of the bird today, so looks like I've dipped again. 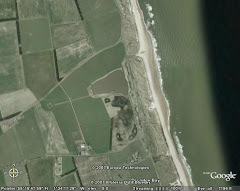 Hopefully I'll do a belated WeBS count at Druridge before work tomorrow.